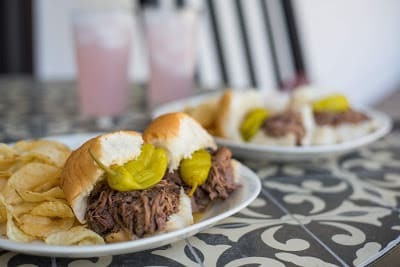 These Italian Beef Sliders are slow cooked to perfection and guarantee to have your summer guest coming back for more. Serve them in your own style by topping with cheese, more veggies, or pepperocinis for some heat. Spray the crock of a 6 Qt. 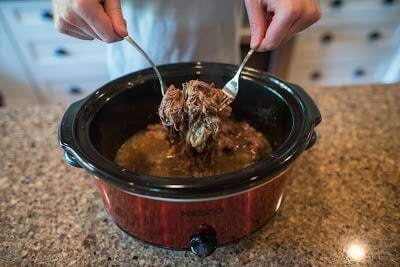 Slow Cooker with cooking spray. Drain the pepperoncinis reserving three tablespoons of the liquid. Combine the salt, pepper, garlic powder, and Italian seasoning in small bowl. Trim the fat from the roast and season each side with roughly one-third of the seasonings and place in Slow Cooker. Pour the tomato sauce over the roast. Top with the green bell peppers, onions, and pepperoncinis. Sprinkle the remaining third of the seasonings on top as well as the reserved pepperoncini liquid. Place the lid on the slow cooker and cook on low for 10 to 12 hours or on high for 5 to 6 hours. 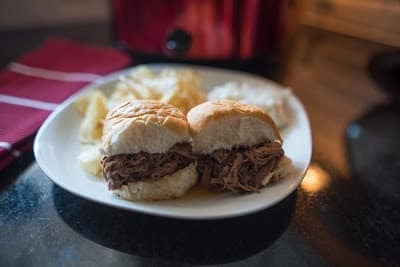 Use two forks to shred the meat and serve on toasted sandwich rolls.